#GoodTimes celebrating Christmas with these beauties @KhloeKardashian & @NickyHilton. ????❤️???? It seems for gone now, with the relationship between the two becoming warmer. Paris Hilton was photographed attending the Kardashian’s Christmas bash in Hidden Hills, at which she showed up with her Mother, Kathy. The socialite’s mum was seen sharing a peck on the cheek with momager Kris Jenner before hopping off for a ton of even more friendly pictures with the rest of the Kardashian clan. It is safe to say that Hilton and Kardashian are putting the past behind and looking to rekindle their famous friendship. Love my #SexyMamas ???????????????????????? #Kristmas ???? After the event, plenty of pictures were put out on Instagram, some with impressive hashtags along the lines of #SexyMamas. Hilton is said to have started following Kim Kardashian on Instagram a few weeks after the latter was robbed in Paris. It is believed that the two started talking at that point, with Hilton seeking to reach out and condole with her former friend. At the moment, Kardashian follows Paris Hilton as well, and while that does not necessarily mean that their beef is completely squashed, it does say that the pair is willing to take a look back and reconsider rekindling the fire that was their friendship. #Kristmas with Santa & @CaitlynJenner. ???????????????? 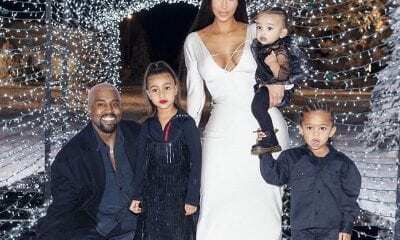 This seems to be one bright spot in what has been a bleak year for the Wests. First came subtle rumors that all was not well at Kimye Land. Even before people wrapped their heads around that, Kim Kardashian was robbed in a Paris apartment, an event that whipped up a media frenzy and left her all shaken, refusing to even venture out of her home for weeks. This was followed up by media reports that Kanye West had checked in at an LA Clinic following a nervous breakdown. Now the speculation on the streets is that West and Kardashian are headed for an inevitable divorce.